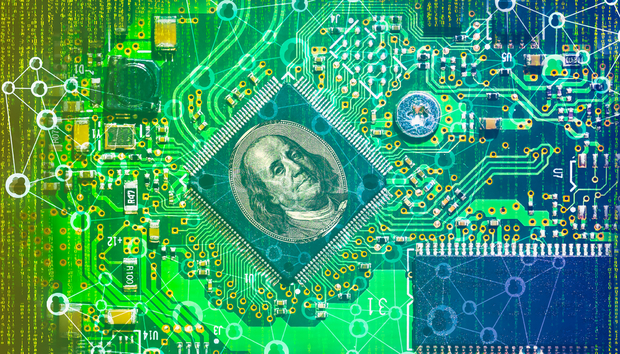 The digital revolution continues to disrupt traditional banking business models. Predicting what the retail bank branch of the future will look like remains a difficult task but we cannot dispute that technology is changing customer behaviour. Expectations on the type of products and services customers would like to access are changing and they vary according to whether they are consuming a service digitally or in a physical branch. Banks need to understand and recognise how customer behaviour is changing and adapt their own business models to address this challenge. How they achieve this will depend on a number of different factors that include: their institutional history and DNA, their geographical and cultural location in addition to their target socioeconomic segment(s). In the past decade, the growth in digital banking has accelerated the decline of the ‘traditional’ bricks and mortar banks, as more customers choose to bank online rather than visit their bank branch. The fall in absolute numbers has fallen in some instances between as much as 50%. Forecasts for the next five years indicate that this decrease in branch visits will continue. In its 2016 case study, BT Global Services revealed the following: up to 45% of customers ‘expect’ to have an in-branch wait for banking services and advice and 81% believe free Wi-Fi access would benefit their experience and 75% expressed positive interest toward online appointment booking. In addition, customers favour instant gratification services, with 84% positively responding to branches that offered immediate issue of new debit and credit cards. Similarly, 67% would prefer to remotely deposit cheques than use postal or in branch services. Assisted self-service channels also satisfy the customer desire to operate independently and to interact for advice and support when needed. 51% would like more staff who can advise on products and 69% would be more confident if that advice was also accessible through human interaction on the website. Tablet access to jointly research products with branch staff would appeal to 63%. These figures demonstrate that the ‘branch’ is here to stay for the foreseeable future. The challenge facing banks will be in how they design and develop an effective strategy (use cases) for new branch models. These will require a detailed analysis of the three pillars underpinning the branch: accessibility, interaction and space. The impact of the changes must be analysed and monitored in order to make the appropriate adjustments that will enable financial institutions to adopt the new model quickly and smoothly; even the most gradual changes can sometimes lead to Application Design errors that require adjustment. Monitoring of these changes is supported by a new Branch Dashboard that will measure four different types of indicator. Many organisations have working methods that now support financial institutions during this process of defining, developing and testing use cases for their proposed new branch models. These are designed to tackle the change through a detailed analysis of the three pillars of: accessibility, interaction and space. There are a number of factors that will influence how banks develop new branch models. Firstly, they will need to establish the type of bank they are and would like to be in the future. The answer will prove critical in defining their overall transformation strategy. Other factors that deserve consideration, include market location. Social, cultural, and political, issues specific to certain countries and regions across the globe may influence transformation strategies. They include how much cash is in a country’s economy or the number of people who are unbanked. The populations of Africa or Latin America have significantly higher levels of unbanked citizens than in Europe or North America. In this instance having a branch is of little importance. As a consequence of region and local market conditions, not all banks will need to go through the same evolutionary steps as others have done to get to a future state. There is no linear path towards transformation and this can be seen across different markets. Irrespective of a bank’s regional location and point of departure; the trend in the journey towards branch transformation is still towards facilitating customer engagement through convenience and this may or may not always be through a physical branch. Across established markets in Europe and North America, the branch adaption process will continue to lead towards considerable change in the physical appearance of branches; both in terms of design and the way customers are served. The role of the bank is changing but it will not disappear. There is still a strong desire across a number of different customer segments for face to face human interaction. Traditional views on what a branch bank should do and look like are being challenged and this will be reflected within the proposed new branch models. What is certain is that re-defining the customer experience will be at the very heart of these new branch models.